I don’t know about you, but cool, rainy fall weather makes me just want to curl up on the couch with a warm drink! 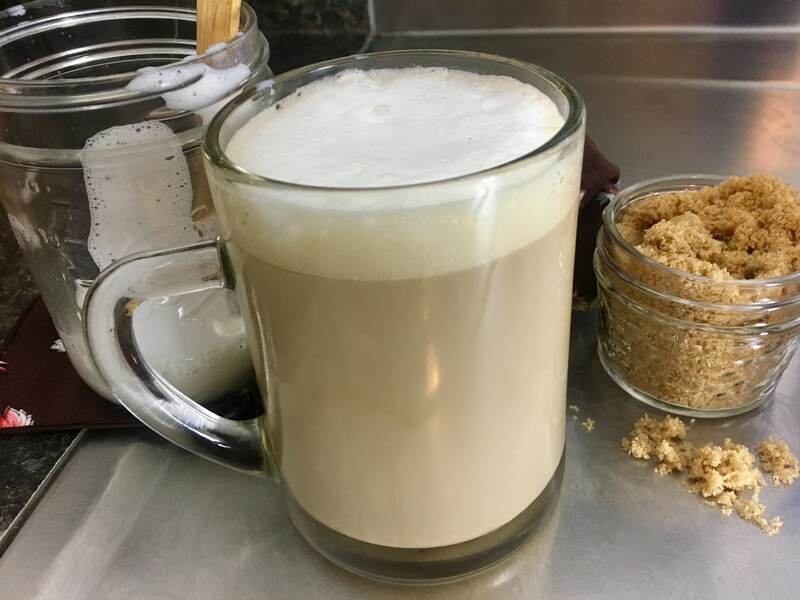 This super simple latte can be your new go-to on those days when you’re not really wanting to drag yourself out of your all-too-comfortable abode. 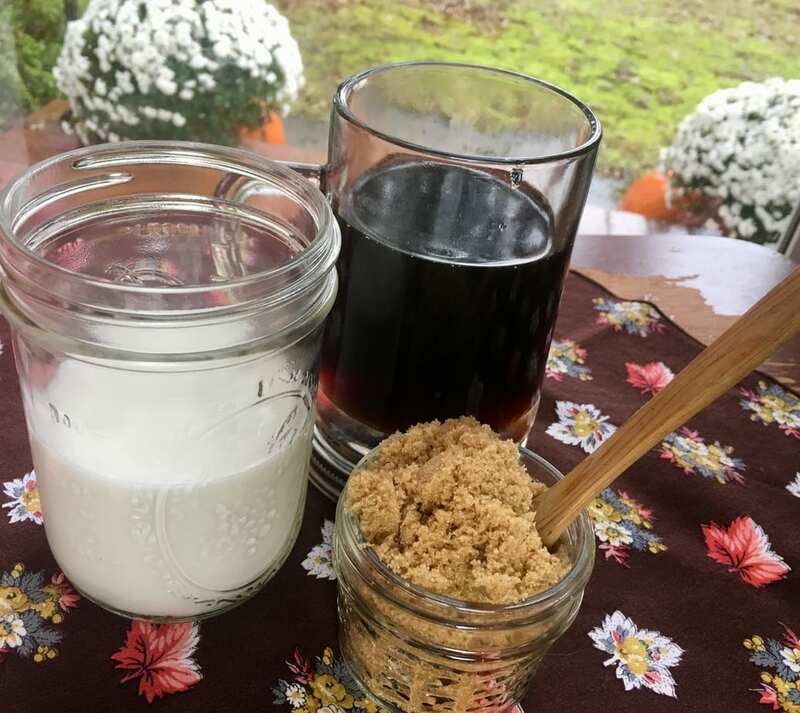 The ingredients are almost always on hand in the kitchen and the smooth sweetness from the brown sugar warms your soul right up! 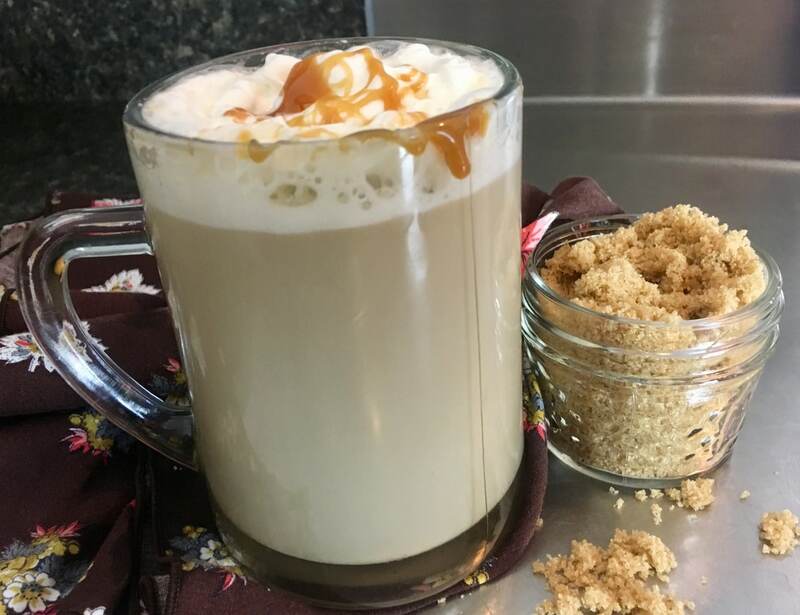 To make this, you’ll need 1 cup strong brewed coffee, ½ cup milk of your choosing (I used whole), 1 TBSP brown sugar ( I do prefer my lattes less sweet so feel free to double if you have a sweeter tooth), and whipped cream/ caramel sauce for drizzling (optional). 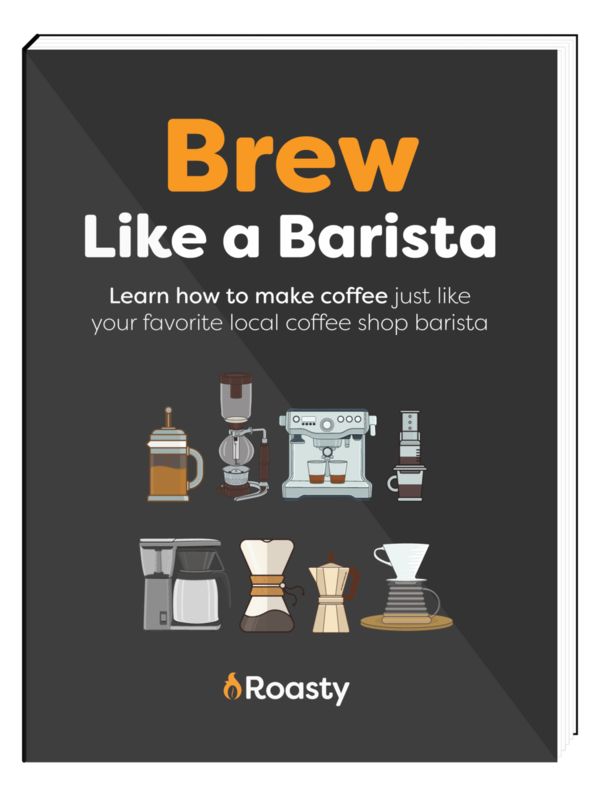 First, brew your coffee. 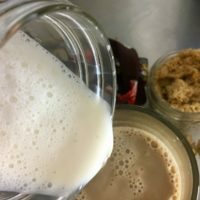 Note that we’ll be using the shaken mason jar method, so you won’t need a milk frother. But if you have one, you’re welcome to use it. 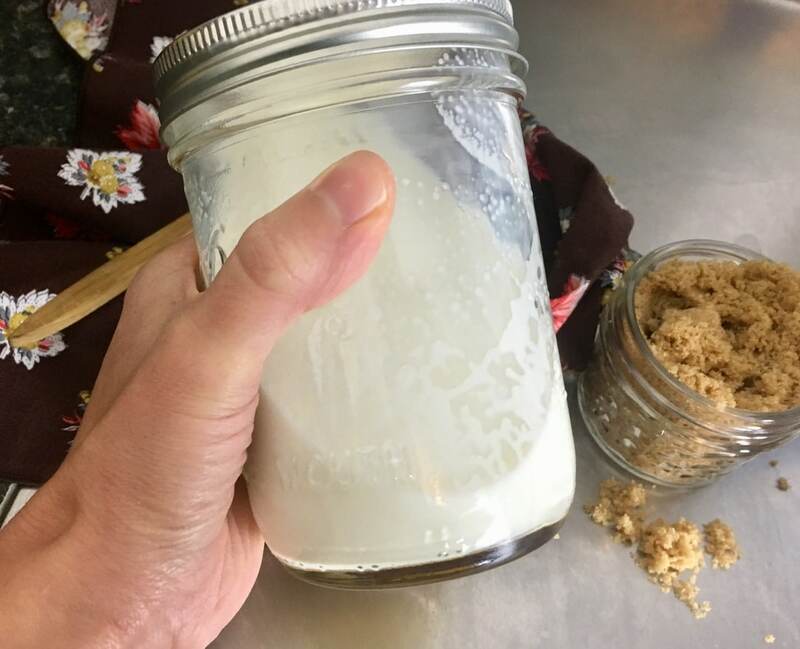 Combine 1 tbsp of brown sugar with your 1/2 cup of milk in a mason jar. 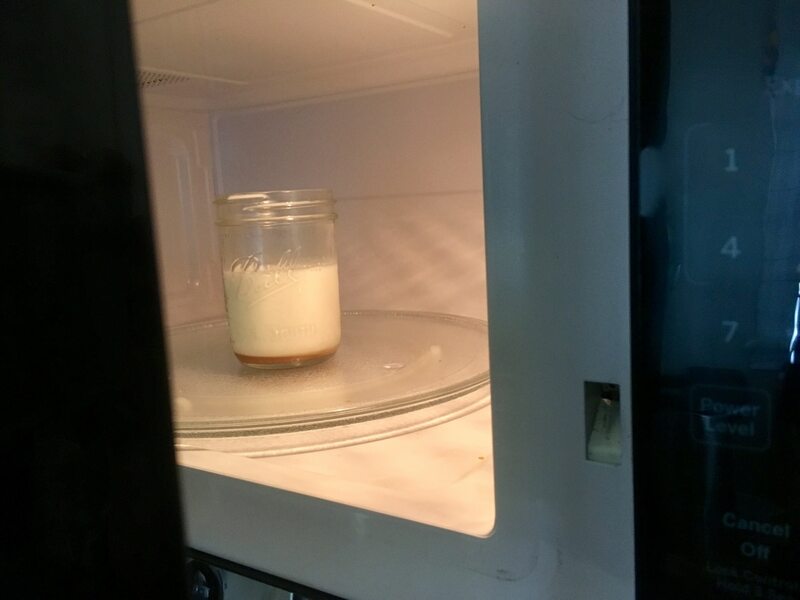 Next, place the mason jar mixture in the microwave (no lid) and heat for 1 minute. If you have a milk frother, you can also warm the milk and sugar on the stove and then froth! Once you’re done heating it. Secure the lid tightly and shake until frothy. 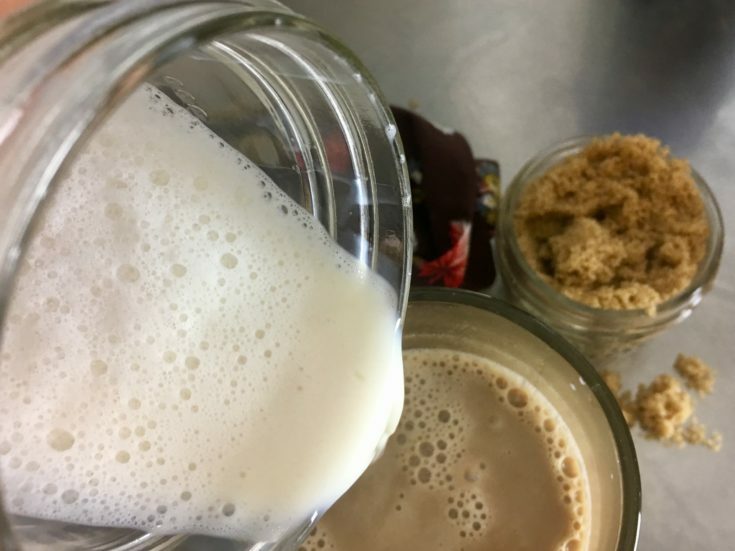 Pour your freshly frothed milk over your hot coffee. You may stop here and enjoy the latte as-is. Or, if you’re a sucker for sweetness, you can continue onto the next step. 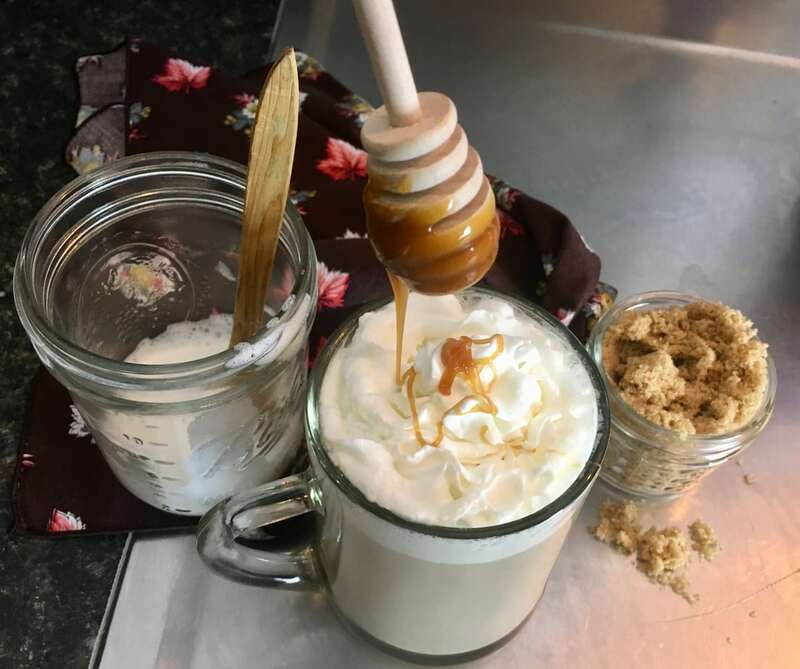 Top with whipped cream and caramel drizzle for a sweet finishing touch! 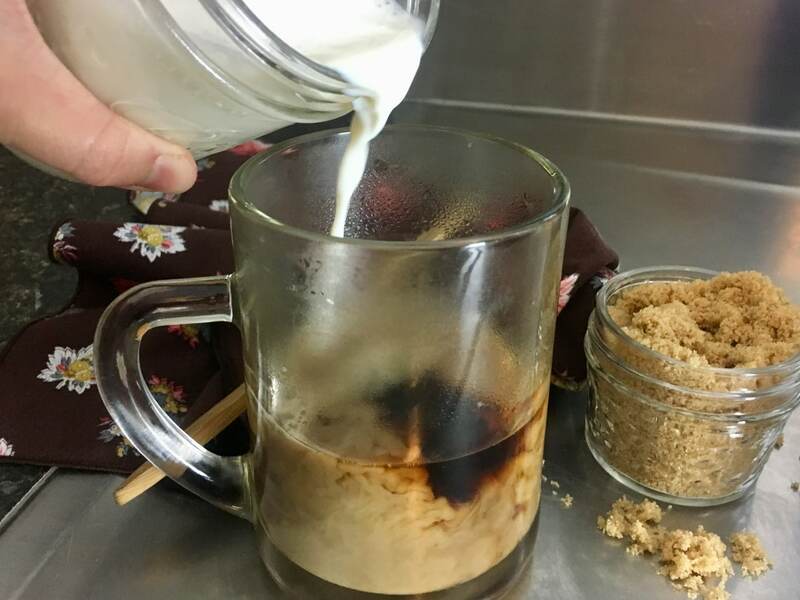 With ingredients that are almost always on hand in the kitchen and the smooth sweetness from the brown sugar, this latte is sure to warm your soul right up! 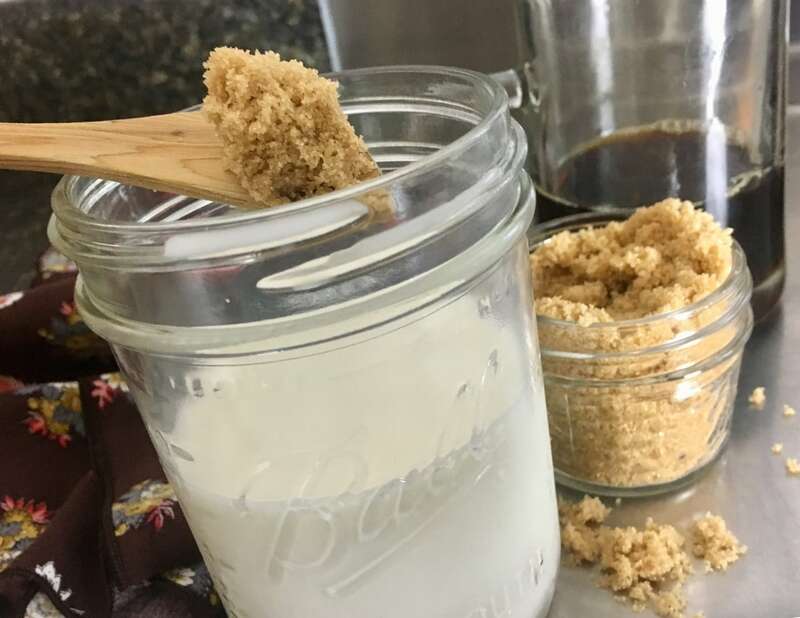 Place your milk and brown sugar in the mason jar and heat for 1 minute. Pour milk over your hot coffee. *I do prefer my lattes less sweet, so feel free to double the brown sugar if you have a sweeter tooth. **If you have a milk frother you can also warm the milk and sugar on the stove and then froth!